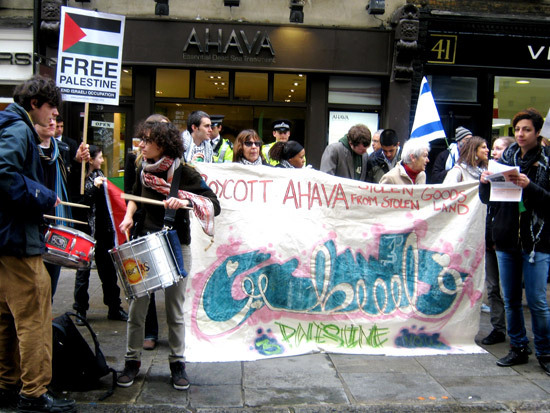 ISM London joined Palestine solidarity activists descending on central London today for the second of an ongoing series of demonstrations against the Ahava cosmetics store. The Israeli company specialises in Dead Sea products made in the illegal West Bank settlement of Mitzpe Shalem. 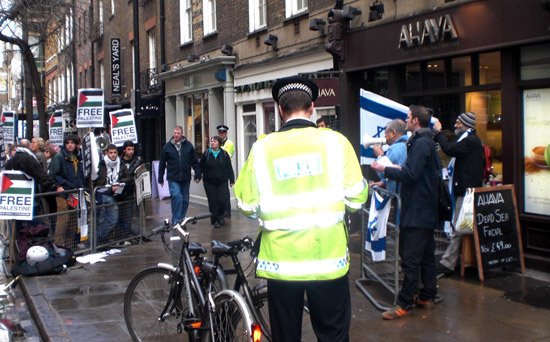 Arriving in Covent Garden at 12pm, demonstrators from a coalition of London based pro-Palestinian organisations chanted slogans and chatted to passers-by about Ahava’s criminal activities, and Palestinian civil society’s call to boycott Israel. The activists managed to successfully engage with members of the public, even attracting a numbers of them to join in the demonstration. The demonstration went on until 2.30pm. The police had erected a holding pen for the demonstration, but requests for protestors to move inside were initially refused. Police then invoked section 14 of the public order act to grant themselves powers to move the demonstrators. This was especially ridiculous as the manager of the clothes shop the barricade was erected outside asked the police not to move protesters as he would experience further disruption. No breach of public order had taken place at the demonstration, nor at any previous demonstration outside Ahava. Zionist Federation co-chair and investment banker Jonathan Hoffman also turned up to lead a counter-demonstration, but the zionists were overwelmingly outnumbered on the day – there were around forty pro-Palestinian demonstrators compared to the Zionist Federation’s three. 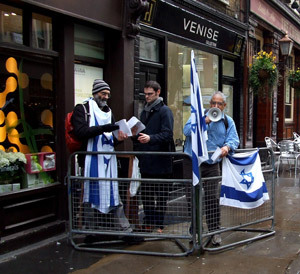 The Zionist Federation were put in a separate holding pen by police. This only served to underline the huge disparity in numbers. 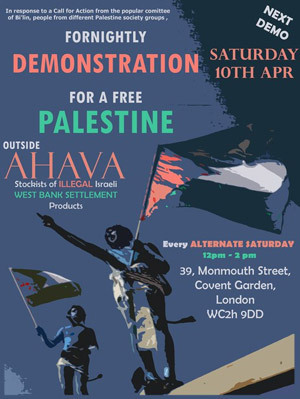 Today’s protest was the second in an ongoing series of demonstrations against Ahava, the next will be on Saturday 10th April, and every fortnight from there on. 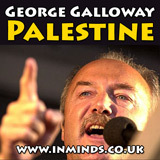 All demonstrations start at 12pm. The demonstrations were arranged after a request from the Bilin popular committee in Palestine for activists around the world to hold regular actions in support of Palestine. 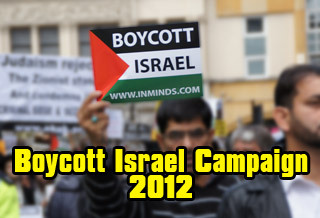 Ahava was chosen as the target due to their complicity in the ongoing ethnic cleansing of Palestine, and as they are already the target of an ongoing worldwide campaign over the last few years, with protests and direct actions organised against them in London, America and Tel Aviv.